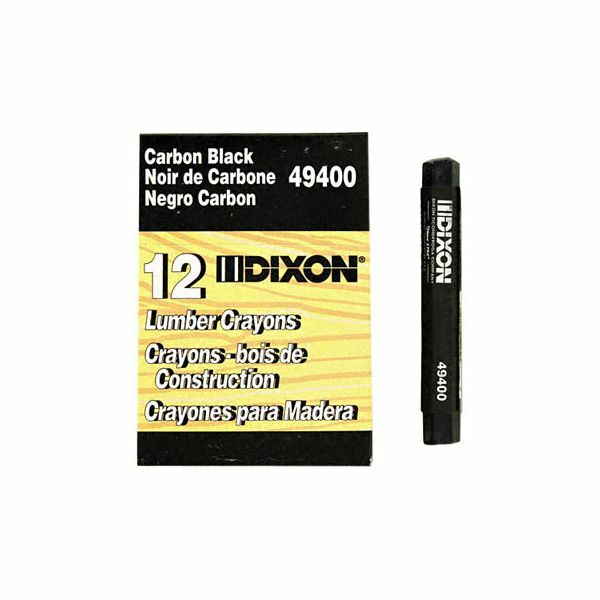 Sets the standard for lumber crayons. Won’t melt in direct sunlight. Note: A minimum quantity of 54 must be ordered, and in units of 6 thereafter. 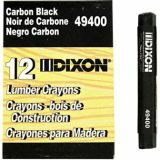 Dixon Lumber Crayons, 4 1/2 x 1/2, Carbon Black, Dozen - Extruded lumber crayons last up to 10 times longer than ordinary molded wax crayons. Fadeproof, waterproof, smearproof crayons won't melt in direct sunlight. They will work on wet (green) lumber or dry wood, metal, concrete and most other surfaces. Hex-shaped design fits lumber crayon holders. Works on wet (green) or dry lumber, metal or concrete. Each crayon is individually UPC coded. Hexagonal shape fits lumber crayon holders. 4 1/2 x 1/2 in 4 1/2" x 1/2"